More and more people are becoming vegan, either for health, environmental or ethical reasons. Either way, it’s important to know exactly where you can expect to be served vegan food when traveling abroad. So, read on if you want to know where to get vegan food in Iceland. I contacted the Facebook Group Vegan Iceland and from there was lead to this guide to vegan food in Iceland by vegan Ragnar Freyr. I got his permission to use his guide to make my own. Click here to see his full guide of vegan options – it’s much more comprehensive than mine and he updates his regularly. And he’s vegan unlike me so he really knows what he’s talking about. Before we enter the guide to vegan food in Iceland, I would like to mention that there are no 100% vegan restaurants in Iceland, but you will find various restaurants with vegan dishes on their menu, especially after Veganuary 2017. So, let’s start the journey through the wonderland of vegan! I hope you like this guide and I truly hope you can find something to your liking on this guide to vegan food in Iceland. If you want to really treat yourself you can visit Aalto Bistro in the Nordic House in Reykjavík, a place I’ve written about before. They serve some lovely vegan dishes which are clearly labeled on the menu. You can also pop by Kopar at the old harbor in Reykjavík. They have some vegan courses on the menu, even a vegan dessert. Messinn also offers a vegan berry dessert, as well as chickpea and carrot fritters as a main course. The restaurant is located in down town Reykjavík and specializes in seafood. And if you’re stopping by Harpa concert hall, you will find Smurstöðin restaurant, which offers vegan bread dishes and a vegan carrot soup. If you’re venturing outside of Reykjavík, be sure to check out Rauða Húsið in Eyrarbakki, a small village on the south coast. Seafood is their game but they have a nut steak on the menu and a vegetarian pasta dish that can be made vegan upon request. Aktu Taktu is one of Iceland’s most beloved fast food restaurants, notorious for being incredibly fast in serving up drive thru meals. Too fast, if anything. But they have a vegan burger, as unbelievable as that sounds. American Style is another popular fast food places, offering a selection of burgers, one of them being vegan. “We can make vegan food at any times – just let us know what you want” says on Bike Cave’s menu, which is located near Reykjavík Airport and in Hafnarfjörður. They offer vegan burgers, fries and onion rings and are a really vegan friendly place. If burgers are your thing, be sure to check out Hamborgarafabrikkan which is located in Kringlan Shopping Mall and Höfðatún in Reykjavík. You can get some Oumph in your burger instead of meat and re-design your burger so it becomes vegan. Pretty impressive! Prikið is one of the most legendary cafés and bars in Reykjavík and currently offers two vegan burgers on their menu. I urge you to visit Prikið, even if you don’t eat anything. It’s a pretty cool place. At Kaffihús Vesturbæjar, not far from down town Reykjavík, you can get a vegan burger and fries but you can also make all drinks vegan with oat milk. This café is extremely popular so expect it to be quite busy during lunch time. You can find Kaffitár, a chain of cafés, in various places in the Reykjavík area (for example in Perlan and Kringlan Shopping Mall) and Keflavík. They offer vegan bread and also oat and almond milk in the coffee. The people at Prepp café on Rauðarárstígur in Reykjavík are quite innovative and offer some vegan dishes. Oh, and they also sell Oatly milk. The soups at Stofan café in the heart of Reykjavík are always vegan. And might I add, very delicious. Café Julia & Julia recently opened in one of the most beautiful buildings in Reykjavík, Safnahúsið on Hverfisgata. The café is almost as beautiful and offers some vegan options. I also urge you to visit one of Reykjavík’s most popular cafés and bars, Vegamót. They offer a vegan nut loaf and their vegetarian burrito and pizzas can be modified to suit your vegan needs. If you ever venture to Djúpivogur, in the eastern part of Iceland, you should definitely pay a visit to Havarí, a café, guesthouse and art shed. Havarí produces vegan sausages Bulsur and Sveitasnakk, chips from home grown vegetables. 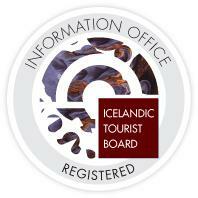 It’s run by husband and wife Svavar and Berglind who are super friendly. Check out our dining tours in Iceland right here! There are quite some ethnic places that offer vegan dishes. We’ll start with the sushi places. Sushibarinn and Sakebarinn in Reykjavík are run by the same people and both offer vegan dishes on their menus called Vegan Combination. Tokyo Sushi operates a sushi restaurant in Glæsibær in Reykjavík and Nýbýlavegur in Kópavogur, but also has three take away places inside Krónan grocery store. They offer a lot of vegan options which are clearly labeled as such. Shirokuma Sushi food truck offers vegan sushi and is located on Lækjargata in down town Reykjavík. If Chinese vegan food in Iceland is what you’re after, you can visit Fönix restaurant at Bíldshöfði in Reykjavík. They have a few vegan dishes on the menu, for example a veggie Kunpao, a veggie Mapo Tofu and veggie dumplings. Indian restaurant Hraðlestin offers vegan courses, such as Aloo Gobi Mattar and Channa Masala. You can also get the Vegan Thali which is a mix of a few vegan dishes. Highly recommended! You will find Hraðlestin at four locations in the capital area: Kringlan Shopping Mall, Hverfisgata, Lækjargata and Hlíðasmári. NAM restaurant on Laugavegur, Reykjavík’s main shopping street, offers modern asian cuisine and they have some vegan options on the menu. One place which really is a must visit place in Reykjavík is Núðluskálin on Skólavörðustígur. Their noodle soups are to die for and it doesn’t hurt that the base for every course is in fact vegan. Also, you can get tofu instead of meat in your soup. Love this place! If we move away from Asia and say hello to Mexico, there is a taco bar on Hverfisgata called Taco Barinn. They offer vegan tacos every day. Culiacan is another mexican restaurant, located on Suðurlandsbraut in Reykjavík. Their vegan menu is quite good and comprehensive, where they offer burgers and burritos to name a few. You can also get vegan burritos at Serrano, a burrito place where you watch the staff make your food. You get to choose the ingredients, so it’s very easy to select only vegan ingredients. There’s also a vegan burrito on the menu with some tofu, salsa, sweet corn and vegetables. And if you want a vegan chili wrap, you can stop by Vefjuvagninn, a food truck that’s located close to Harpa concert hall. Nothing beats vegan food in Iceland with a view of Harpa! If you’re in Reykjavík, or the Reykjavík area, be sure to visit health food restaurant Gló, run by an award winning raw food chef. In addition to vegan dishes, they also have vegetarian, raw and gluten free dishes every day. A true gem in the restaurant scene. Saffran has four restaurants in the capital area and recently added a vegan pizza to their menu. The pizza has beets, squash, red onion, mushrooms, pineapple, arugula and pine nuts. You can find health food restaurant Krúska on Suðurlandsbraut, which has some vegan dishes on its menu. A very inviting place with extremely fresh food. Salad place Local is in Borgartún in Reykjavík, Smáralind Shopping Mall in Kópavogur and Reykjavíkurvegur in Hafnarfjörður and makes its way into the list of vegan food in Iceland. All their soups are vegan and there’s also a vegan salad on the menu. Garðskálinn café in Gerðarsafn museum in Kópavogur is one of those places you can’t forget if you’ve tried it once. Lovely food in a beautiful setting and they offer vegan soups, sourdough bread and vegan cheesecake – without the cheese of course! And if you’re heading north, make sure to visit Símstöðin in Akureyri. They offer one raw vegan dish every day and sometimes cooked vegan food. The Coocoo’s Nest is an extremely popular place on Grandagarður at Reykjavík’s old harbor. They switch up their menus quite often but usually make sure that there are vegan options available. Lovely place in a great area of the city. Bazaar Oddson is a great place close to down town Reykjavík, so great that I’ve written about it before. They have vegan options on the menu and a great lounge area. Bragðlaukar is a new lunch restaurant in Gnoðarvogur in Reykjavík, located inside a fish shop. Their focus is on fish dishes but they do serve a vegan dish of the week. I’m a big fan of Hannesarholt located at the home of Iceland’s first prime minister, Hannes Hafstein. There’s a restaurant and café on the first floor and there are vegan options on the menu. They even have a vegan brunch which is quite lovely. Great vegan food in Iceland. You would think that Fish & more restaurant on Skólavörðustígur in Reykjavík would only serve fish but their menu is in fact more vegan than anything. An added bonus is that the place is incredibly cozy and inviting. I love Íslenska flatbakan pizza place in Kópavogur so much that I wrote a special piece on it a while back. And they have a vegan option called Sú góðhjartaða, which I’ve heard is really good. This place just can’t go wrong! Another place I’ve written a little love fest about is Mathús Garðabæjar in Garðabær. They have a vegan nut loaf on the menu with beetroot, kale, spinach and mushrooms. Then there’s Pylsa / Pulsa, a sausage place on Hlemmur square, which offers vegan Bulsur sausages which you might remember from Havarí in Djúpivogur. These sausages are almost too good to be true! Reykjavík Chips, a Belgian-style fries place, is located on Vitastígur in Reykjavík and has some vegan sauces you can put on your chips. That’s it for the vegan side of life today – I hope you liked the guide to vegan food in Iceland. If you want to know where to find vegan deserts, head on over to Ragnar Freyr’s vegan guide. You should also know that the Icelandic word for vegan is simply: Vegan. So, don’t worry about any language barriers. And a word of warning: There is a company called Kexsmiðjan that produces snacks with the brand name Veganesti. That is 100% not vegan. Veganesti literally means: Provisions for a journey. So, don’t be fooled and have a Veganlicious journey in Iceland! Did you find this blog post helpful? Then rate us on TripAdvisor!